The ASP.NET course provides the necessary skills and knowledge to design and develop database driven web applications using Microsoft Visual Studio and the ASP.NET with C# and Microsoft SQL Server database. This course is designed with a mixture of lectures and hands-on exercises. 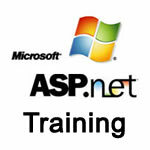 You will learn how to develop web application with ASP.NET MVC. You will learn how to work with models, views and controllers, how to develop database objects with the Entity Framework, how to secure applications with the ASP.NET Identity and how to deploy ASP.NET MVC applications. It is necessary to have basic knowledge of HTML, CSS, C#, ASP.NET and Microsoft SQL Server. Our Web Design with HTML and CSS, Programming With C# for Beginners, and Database Design with Microsoft SQL Server courses cover all of the prerequisites. From June 2019 the duration of this course will be extended to 12 hours. "This course is very good to get you started in the subject. The academy give you enough knowledge to continue learning by yourself. The teacher are aproachable, honest and helpful." "Very good class. Really shows and teaches what asp.net is about."